End of Ottoman expansion, Habsburgs conquer Hungary and Transylvania from the Ottomans, eventual decline of the Habsburgs and the Ottomans. The Ottoman–Habsburg wars were fought from the 16th through the 18th centuries between the Ottoman Empire and the Habsburg (later Austrian) Empire, which was at times supported by the Holy Roman Empire, Kingdom of Hungary, Polish–Lithuanian Commonwealth, and Habsburg Spain. The wars were dominated by land campaigns in Hungary, including Transylvania (today in Romania) and Vojvodina (today in Serbia), Croatia and central Serbia. By the 16th century, the Ottomans had become a serious threat to the European powers, with Ottoman ships sweeping away Venetian possessions in the Aegean and Ionian seas and Ottoman-supported Barbary pirates seizing Spanish possessions in the Maghreb. The Protestant Reformation, the French–Habsburg rivalry and the numerous civil conflicts of the Holy Roman Empire served as distractions to the Christians from their conflict with the Ottomans. Meanwhile, the Ottomans had to contend with the Persian Safavid Empire and to a lesser extent the Mamluk Sultanate, which was defeated and fully incorporated into the empire. Initially, Ottoman conquests in Europe made significant gains with a decisive victory at Mohács reducing around one third (central) part of Kingdom of Hungary to the status of an Ottoman tributary. Later, the Peace of Westphalia and the Spanish War of Succession in the 17th and 18th centuries respectively left the Austrian Empire as the sole firm possession of the House of Habsburg. Following the Siege of Vienna in 1683 the Habsburgs were able to assemble a large coalition of European powers known as the Holy League, allowing them to effectively combat the Ottomans and to regain control over Hungary. The Great Turkish War ended with the decisive Holy League victory at Zenta. The wars came to an end following Austria's participation in the war of 1787-1791, which Austria fought in alliance with Russia. Intermittent tension between Austria and the Ottoman Empire continued throughout the nineteenth century, but they never again fought each other in a war and ultimately found themselves allied in World War I, in the aftermath of which both empires were dissolved. Although Ottoman janissaries adopted firearms in battles since the beginning of the 16th century, the Ottoman usage of the handheld firearms spread much slower than in the Western Christian armies. The Sultan arrived at Vienna on 27 September 1529. Ferdinand's army was some 16,000 strong – he was outnumbered roughly 7 to 1 and the walls of Vienna were an invitation to Ottoman cannon (6 ft thick along some parts). However, the heavy cannons on which the Ottomans relied to breach the walls were all abandoned on the way to Vienna, after they got stuck in mud due to heavy rainfall. Ferdinand defended Vienna with great vigour. By 12 October, after much mining and counter-mining an Ottoman war council was called and on 14 October the Ottomans abandoned the siege. The retreat of the Ottoman army was hampered by the resistance of Bratislava, which once more bombarded the Ottomans. Early snowfall made matters worse, and it would be another three years before Suleiman could campaign in Hungary. The Ottoman army consisted of both heavy and missile fire, cavalry and infantry, making it both versatile and powerful. After the defeat at Vienna, the Ottoman Sultan had to turn his attention to other parts of his domain. Taking advantage of this absence, Archduke Ferdinand launched an offensive in 1530, recapturing Esztergom and other forts. An assault on Buda was only thwarted by the presence of Ottoman Turkish soldiers. As in the previous Austrian offensive, the return of the Ottomans forced the Habsburgs in Austria to go on the defensive. 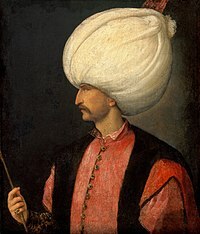 In 1532 Suleiman sent a massive Ottoman army to take Vienna. However, the army took a different route to Kőszeg. After a defence by a mere 700-strong force led by the Croatian earl Miklós Jurisics, the defenders accepted an "honorable" surrender of the fortress in return for their safety. The Sultan then withdrew, content with his success and recognizing the limited Austrian gains in Hungary, while forcing Ferdinand to recognize John Szapolyai as King of Hungary. Whilst the peace between the Austrians and the Ottomans would last for nine years, John Szapolyai and Ferdinand found it convenient to continue skirmishes along their respective borders. In 1537 Ferdinand broke the peace treaty by sending his ablest generals to a disastrous siege of Osijek, which was another Ottoman triumph. Nevertheless, Ferdinand was recognized by the Treaty of Nagyvárad as the heir of the Kingdom of Hungary. There were wasted opportunities on both sides in the Little War; Austrian attempts to increase their influence in Hungary were just as unsuccessful as the Ottoman drives to Vienna. Nonetheless, there were no illusions as to the status quo: the Ottoman Empire was still a very powerful and dangerous threat. Even so, the Austrians would go on the offensive again, their generals building a bloody reputation for so much loss of life. Costly battles like those fought at Buda and Osijek were avoided but not absent in the upcoming conflicts. In any case Habsburg interests were split between fighting for devastated European land under Islamic control, trying to stop the gradual decentralization of Imperial authority in Germany, and for Spain's ambitions in North Africa, the Low Countries and against the French. Nevertheless, the Ottomans, whilst hanging on to their supreme power, could not expand as they had in the days of Mehmet and Bayezid. To the east lay further wars against their Shi'ite opponents, the Safavids. Both the French (since 1536) and the Dutch (since 1612) occasionally worked together against the Habsburgs with the Ottomans. Meanwhile, the Ottoman Empire rapidly began displacing her Christian opponents at Sea. In the 14th century, the Ottomans had only a small navy. By the 15th century, hundreds of ships were in the Ottoman arsenal taking on Constantinople and challenging the naval powers of the Italian Republics of Venice and Genoa. In 1480, the Ottomans unsuccessfully laid siege to Rhodes Island, the stronghold of the Knights of St. John. When the Ottomans returned in 1522, they were more successful and the Christian powers lost a crucial naval base. In retaliation, Charles V led a massive Holy League of 60,000 soldiers against the Ottoman city of Tunis. After Hayreddin Barbarossa's fleet was defeated by a Genoan one, Charles' army put 30,000 of the city's residents to the sword. Afterwards, the Spanish placed a friendlier Muslim leader in power. The campaign was not an unmitigated success; many Holy League soldiers succumbed to dysentery, only natural for such a large overseas army. Furthermore, much of Barbarossa's fleet was not present in North Africa and the Ottomans won a victory against the Holy League in 1538 at the Battle of Preveza. Despite the loss of Rhodes, Cyprus, an island further from Europe than Rhodes, remained Venetian. When the Knights of St. John moved to Malta, the Ottomans found that their victory at Rhodes only displaced the problem; Ottoman ships came under frequent attacks by the Knights, as they attempted to stop Ottoman expansion to the West. Not to be outdone, Ottoman ships struck many parts of southern Europe and around Italy, as part of their wider war with France against the Habsburgs (See Italian Wars). The situation finally came to a head when Suleiman, the victor at Rhodes in 1522 and at Djerba decided in 1565 to destroy the Knights' base at Malta. The presence of the Ottoman fleet so close to the Papacy alarmed the Spanish, who began assembling first a small expeditionary force (that arrived in time for the siege) and then a larger fleet to relieve the Island. The ultra-modern star shaped fort of St Elmo was taken only with heavy casualties including the Ottoman general Turgut Reis, and the rest of the island was too much. Even so, Barbary piracy continued and the victory at Malta had no effect on Ottoman military strength in the Mediterranean. The death of Suleiman the Magnificent in 1566 brought Selim II to power. Known by some as "Selim the Sot", he assembled a massive expedition to take Cyprus from Venice. An option that Selim opted out of was to assist the Moorish rebellion that had been instigated by the Spanish crown to root out disloyal Moors. Had Selim succeeded in landing in the Iberian peninsula, he may have been cut off, for after he had captured Cyprus in 1571 he suffered a decisive naval defeat at Lepanto. The Holy League, assembled by the Pope to defend the Island arrived too late to save it (despite 11 months of resistance at Famagusta); having collected so much of Europe's available military strength, the Holy League was better supplied with ammunition and armor and inflicted a blow on the Ottomans. The chance to retake Cyprus was wasted in the typical squabbling that followed the victory, so that when the Venetians signed a peace treaty with the Ottomans in 1573, they did so according to Ottoman terms. By the end of Suleiman's reign, the Empire spanned approximately 877,888 sq mi (2,273,720 km2), extending over three continents: mainly Europe, Africa and Asia. In addition, the Empire became a dominant naval force, controlling much of the Mediterranean Sea. By this time, the Ottoman Empire was a major part of the European political sphere. The Ottomans became involved in multi-continental religious wars when Spain and Portugal were united under the Iberian Union lead by the Habsburg monarch King Philip the Second, the Ottomans as holders of the Caliph title, meaning leader of all Muslims worldwide, and Iberians, as leaders of the Christian crusaders, were locked in a worldwide conflict, with zones of operations in the Mediterranean sea  and Indian Ocean  where Iberians circumnavigated Africa to reach India, and in the way, wage wars upon the Ottomans and it's local Muslim allies and likewise the Iberians passed through newly Christianised Latin-America and had sent expeditions that traversed the Pacific in order to the Christianize formerly Muslim Philippines and use it as a base to further attack the Muslims in the far east. In which case, the Ottomans sent armies to aid its easternmost vassal and territory, the Sultanate of Aceh in Southeast Asia. During 1600s, the bloody worldwide conflict between the Ottoman Caliphate and Iberian Union was nevertheless a stalemate since both powers were at similar population, technology and economic levels. The fatal Cavalry charge by Hasan Predojević, during the Battle of Sisak in 1593. After the death of Suleiman in 1566, Selim II posed less of a threat to Europe. Though Cyprus was captured at long last, the Ottomans failed against the Habsburgs at sea (see above, Battle of Lepanto). Selim died not too long after, leaving in power his son Murad III, a hedonist who spent more time at his Harem than at the war front. Under such deteriorating circumstances, the Empire found itself at war with the Austrians yet again. In the early stages of the war, the military situation for the Ottomans worsened as the Principalities of Wallachia, Moldova and Transylvania each had new rulers who renounced their vassalship to the Ottomans. At the Battle of Sisak, a group of ghazis sent to raid the insubordinate lands in Croatia were thoroughly defeated by tough Imperial troops fresh from savage fighting in the Low Countries. In response to this defeat, the Grand Vizier launched a large army of 13,000 Janissaries plus numerous European levies against the Christians. When the Janissaries rebelled against the Vizier's demands for a winter campaign, the Ottomans had captured little other than Veszprém. Technological disadvantages also significantly worsened the Ottoman positions in Hungary. In 1594 an even larger army was assembled by the Grand Vizier Sinan Pasha. In the face of this threat, the Austrians abandoned a siege of Gran, a fortress that had fallen during Suleiman's career, and then lost Raab. For the Austrians, their only comfort in the year came when the fortress of Komárno held out long enough against the Vizier's forces to retreat for the winter. Despite the success of the previous year, the situation for the Ottomans worsened yet again in 1595. A Christian coalition of the former vassal states along with Austrian troops recaptured Esztergom and marched southward down the Danube. Michael the Brave, the prince of Wallachia started a campaign against the Turks (1594–1595), conquering several castles near the Lower Danube, including Giurgiu, Brăila, Hârşova, and Silistra, while his Moldavian allies defeated the Turks in Iaşi and other parts of Moldavia. Michael continued his attacks deep within the Ottoman Empire, taking the forts of Nicopolis, Ribnic, and Chilia  and even reaching as far as Adrianople (Edirne),  the former Ottoman capital city; no Christian army had set foot in the region since the days of the Byzantine Empire under the Palaiologoi. Victory of the Ottoman Army during the Battle of Keresztes. Following the defeat of the Ottoman army in Wallachia (see the Battle of Călugăreni) and the series of unsuccessful confrontations with the Habsburgs (culminating in the devastating siege and fall of Ottoman-held Esztergom ), and alarmed by the success and proximity of the threat, the new Sultan Mehmed III strangled his 19 brothers to seize power and personally marched his army to the north west of Hungary to counter his enemies' moves. In 1596 Eger fell to the Ottomans. At the decisive Battle of Keresztes, a slow Austrian response was wiped out by the Ottomans. Mehmet III's inexperience in ruling showed when he failed to reward the Janissaries for their efforts in battle; rather he punished them for not fighting well enough and thereby incited a rebellion. The Austrians renewed the war against their enemies in the summer of 1597 with a drive southward, taking Pápa, Tata, Raab ( Győr) and Veszprém. Further Habsburg victories were achieved when a Turkish relief force was defeated at Grosswardein ( Nagyvárad). Enraged by these defeats, the Turks replied with a more energetic response so that by 1605, after much wasted Austrian relief efforts and failed sieges on both sides, only Raab remained in the hands of the Austrians. In that year a pro-Turkish vassal prince was elected leader of Transylvania by the Hungarian nobles and the war came to a conclusion with the Peace of Zsitva-Torok. In 1663, the Ottomans launched a disastrous invasion of Austria, ending at the Battle of St Gotthard. The battle was won by the Christians, chiefly through the attack of 6,000 French troops led by La Feuillade and Coligny. The Austrians were unable to follow up on this victory due to the intervention of French forces in the Rhine; in such circumstances the Protestant allies of the Catholic Habsburgs would have proven unreliable, wanting instead to have the Austrians and themselves fight the French in a German coalition. The Ottomans therefore turned their attention north again against the Polish–Lithuanian Commonwealth. By now, the Kingdom had fallen into a terrible state; the Sejm had divided loyalties and the treasury was bankrupt. It is therefore noteworthy that John III Sobieski, king of Poland, led a decisive victory against the Ottomans at the Second battle of Khotyn. In 1683, after 15 months of mobilizing forces, the Grand Vizier reached Vienna to find the city well defended and prepared. Worst for the Vizier were the numerous alliances established by the Austrians, including with Sobieski. When the siege of Vienna began in 1683, Sobieski and his coalition of Germans and Poles arrived just as Vienna's defense was becoming untenable. In a decisive battle, the Ottomans were defeated and the siege lifted. In 1687, the Ottomans raised new armies and marched north once more. However, Duke Charles intercepted the Turks at the Second Battle of Mohács and avenged the loss inflicted on the last Hungarian King over 160 years ago by Suleiman the Magnificent. The Ottomans continued to resist the southward-pressing Austrians, denying them an opportunity to negotiate from a position of strength. Only when the Ottomans suffered yet another disastrous battle at the crossing at Zenta in 1697 did the Ottomans sue for peace; the resulting treaty of Karlowitz in 1699 secured vast amounts of Central Europe, mostly Hungary, for the Austrians. Throughout Europe, both Protestants and Catholics hailed Prince Eugene of Savoy as "the savior of Christendom" – English volunteers, including a son of Prince Rupert (nephew of Charles I of England) and Protestants from as far as Scotland fought in the Prince's army. For the Ottomans, the years between 1683 and 1702 were a sad time; 12 Grand Viziers were deposed in 19 years – the legacy of what was at one time under Köprülü Mehmed Pasha the most powerful position of one of the most powerful Empires in the world. Although the Great Turkish War was a disaster for the Ottomans, the Habsburgs were soon drawn into another destructive European war (the War of the Spanish Succession) against the French, their traditional rivals. Brimming with confidence after their victories over the Russians in 1711 ( Pruth River Campaign) and over the Venetians in 1715 ( Ottoman–Venetian War (1714–1718)), the Ottomans declared war on the Habsburg Monarchy in 1716 and marched north from Belgrade in July under the command of Grand Vizier Ali Pasha. The invasion was a catastrophe, however, and the Ottoman army was utterly destroyed and the Grand Vizier slain at the battle of Petrovaradin in August by an outnumbered Austrian army under the command of Prince Eugene of Savoy, who went on to capture Belgrade a year later. At the subsequent Treaty of Passarowitz in 1718, the Austrians gained possession of the Banat, Serbia and Lesser Wallachia. After Eugene's death in 1736, the Austrian conquests in Serbia and Wallachia were undone at the Battle of Grocka in 1739, where the outnumbered and disorderly Austrians were defeated by the Ottomans. The Austro-Turkish War (1788–91) was an inconclusive struggle and Austrian territorial gains were meager in the Treaty of Sistova. The Austrians gained nothing more than the town of Orșova in Wallachia and two small towns on the Croatian frontier. For the next 100 years, the Austrians and the Ottomans both began to slowly lose their power to the French, British, Prussians and Russians. Both the Ottomans and the Austrians lacked the heavy industry of their other European counterparts, but the Ottomans were further behind than the Austrians. Thus, Ottoman power decayed faster than Austrian power. In the Balkans, the increasingly prevalent nationalistic cries for independence became a bigger problem for the more militarily incompetent Ottomans. After 1867, the Austrians compromised with the Hungarians to form Austria-Hungary, thus preventing a major ethnic group from rebelling in the shorter term. The same benefits could not be had with the Ottomans. Efforts to catch up with European technology led officers and intellectuals to study abroad—a plan that backfired for the Ottomans when these individuals brought back European ideas of Enlightenment and egalitarianism. These ideas subsequently clashed with the traditional Turkish-dominated, autocratic, millet system of the Ottomans. Therefore, Ottoman power collapsed more rapidly than Austrian power, and they were powerless to stop Bosnia from being occupied in 1878 (officially annexed in 1908). Relations between Austria and the Ottomans began to improve when they saw a common threat in Russia and a common ally in Germany in countering the threat of the Tsar. The Ottomans had hoped the Germans would industrialize their nation to defend itself against the Russians, who had taken the "anti-Turk crusade" to a more committed level, driving the Turks out of the Crimea and Caucasus. Meanwhile, the German Empire of Prussia appealed to the Austrians through a common culture, language and the lenient terms imposed after the Austro-Prussian War. The Austrians were in no hurry to see Russia advance at the cost of the Ottomans towards their borders. Thus, in the years before World War I, the two former enemies found themselves allies against the French, the Russians and the British. In 1918, the Austro-Hungarian Empire surrendered to partition under the Treaty of Saint-Germain, as did the Ottomans under the Treaty of Sèvres. ^ a b Moldavia, Transylvania and Wallachia engaged in numerous wars with the Ottomans, some of which coincided with the Habsburgs' own wars. At times, however, they were on the opposite side. ^ the Duchy of Mantua sent Reinforcement Army led by the Dukes Vincenzo Gonzaga during Long Turkish War in 1595, and Ferdinando Carlo Gonzaga during Great Turkish War in 1687. ^ Rhoads, Murphey (1999). Ottoman Warfare, 1500-1700. Rutgers University Press. p. 10. ISBN 1-85728-389-9. ^ Aksan, Virginia (2007). Ottoman Wars, 1700-1860: An Empire Besieged. Pearson Education Ltd. pp. 130–5. ISBN 978-0-582-30807-7. ^ For the historiography see Charles Messenger, ed., Reader's Guide to Military History (2001) 24–26 June. ^ Colin Imber, The Crusade of Varna, 1443-45 (2013). ^ Béla K. Király, and Gunther Erich Rothenberg, War and Society in East Central Europe: The fall of medieval kingdom of Hungary: Mohacs 1526-Buda 1541 (1989). ^ Brett D. Steele (2005). The Heirs of Archimedes: Science and the Art of War Through the Age of Enlightenment. MIT Press. p. 120. ISBN 9780262195164. ^ Brett D. Steele (2005). The Heirs of Archimedes: Science and the Art of War Through the Age of Enlightenment. MIT Press. p. 85. ISBN 9780262195164. ^ Gábor Ágoston; Bruce Alan Masters (2010). Encyclopedia of the Ottoman Empire. Infobase Publishing. p. 297. ISBN 9781438110257. ^ Sam White (2011). 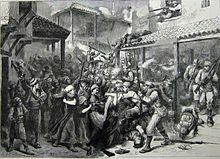 The Climate of Rebellion in the Early Modern Ottoman Empire. Cambridge University Press. p. 191. ISBN 9781139499491. ^ James Reston, Defenders of the faith: Charles V, Suleyman the Magnificent, and the battle for Europe, 1520-1536 (2009). ^ Henry Elliot Maiden, Salus Vienna Tua: The great siege of 1683, Chapter 2 "and the absence of his heavy artillery, stuck deep in the soil of Hungarian roads, saved the capital of Austrian dominions..."
^ Kinross, John Patrick, Ottoman Centuries, (Morrow Publishing, 1977), 254. ^ James Tracy, "The Road to Szigetvár: Ferdinand I's Defense of His Hungarian Border, 1548–1566." Austrian History Yearbook 44 (2013): 17-36. ^ Mansel, Philip (1997). Constantinople : city of the world's desire 1453–1924. London: Penguin. p. 61. ISBN 0-14-026246-6. ^ Constantin C. Giurescu, Istoria Românilor. Bucharest: Editura All, 2007 (Romanian), p. 183. ^ a b c Agostor, Gabon (2008). Encyclopedia of the Ottoman Empire. Facts on File. p. 158. ISBN 978-0-8160-6259-1. ^ Faroqhi, Suraiya (2006). The Ottoman Empire and the World Around It. I.B. Tauris. p. 51. ISBN 978-1-84511-122-9. ^ Setton, Kenneth Meyer (1991). Venice, Austria, and the Turks in the Seventeenth Century. DIANE Publishing. p. 111. ISBN 0-87169-192-2. ^ Imber, Colin (2002). The Ottoman Empire, 1300-1650. Palgrave Macmillan. p. 83. ISBN 978-0230574519. ^ Finkel, Caroline (2006). Osman's Dream: The Story of the Ottoman Empire 1300–1923. London: John Murray. p. 227. ISBN 978-0-7195-6112-2. Aksan, Virginia. Ottoman Wars, 1700-1870: An Empire Besieged (Routledge, 2007). Barker, Thomas Mack. Double eagle and crescent: Vienna's second Turkish siege and its historical setting. SUNY Press, 1967. Cacavelas, Jeremias, and Frederick Henry Marshall. The Siege of Vienna by the Turks in 1683 (Cambridge University Press, 2015). Jelavich, Barbara. History of the Balkans (Cambridge University Press, 1983). Millar, Simon. Vienna 1683: Christian Europe Repels the Ottomans (Osprey Publishing, 2008); Short military history, well illustrated. Murphey, Rhoads. Ottoman Warfare, 1500-1700 (Rutgers University Press, 1999). Părvev, Ivan. Habsburgs and Ottomans Between Vienna and Belgrade:(1683-1739) (1995). Rothenberg, Gunther E. The Austrian military border in Croatia, 1522-1747 (1960); The Military Border in Croatia, 1740-1881: a study of an imperial institution (1966).